Germs are everywhere! You can't avoid them or get rid of them completely but you can protect yourself. This can be tough to accomplish since we can pick up pathogens from everything we touch: keyboards, doorknobs, shopping carts and even through casual handshakes. A regular habit of washing your hands won't hurt and may prevent you from catching other diseases which be contracted through the skin. But the problem arises with so many varieties of hand soaps out there and every brand claiming to be the best.It is over whelming and hard to choose from!! 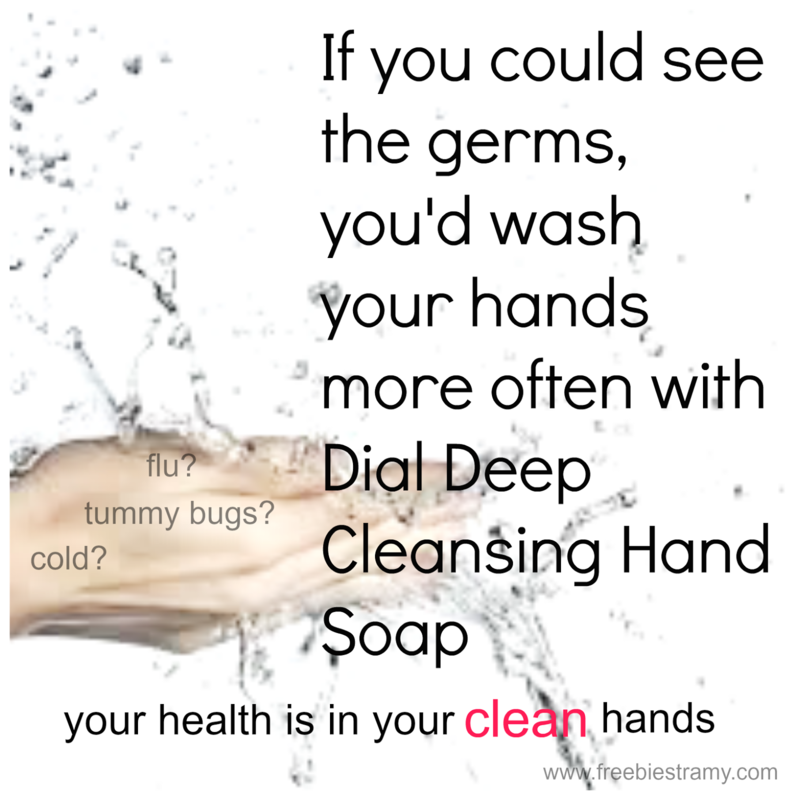 My problem was solved when I got chance to try New Dial Deep Cleansing Hand Soap.I got two hand soaps with amazing fragrances to try and test, and It makes me so happy to say the perks I get being Purex insiders are endless. 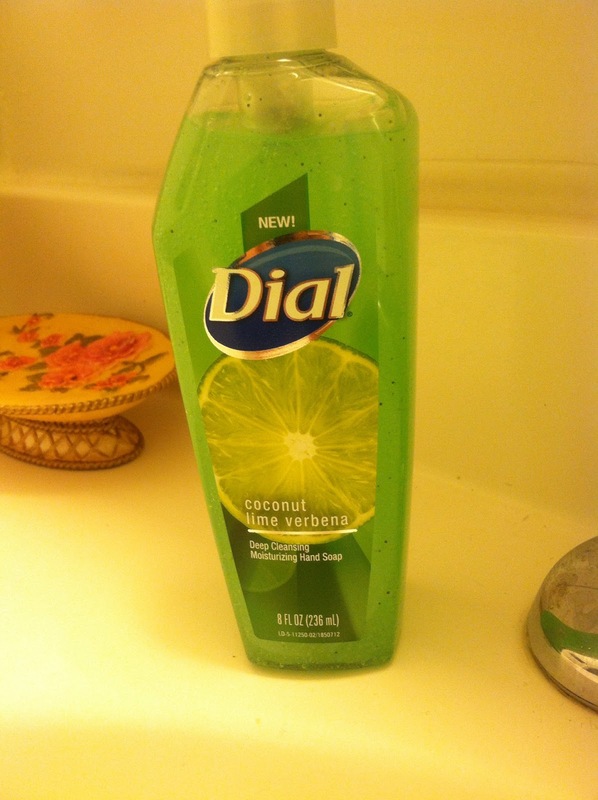 I must say I was blown away by the amazing fragrances.The New Dial soap made my hands more softer and moisturized and they smelled amazing for so long.The micro scrubbing formula does great job in lifting dirt and residues and unseen germs. The New Dial Cleansing Hand Soap gives a clean ,healthy hands and skin with its moisturizing formula and skin conditioners that hydrate skin and visibly improve skin dryness, while micro scrubbers help gently remove dirt and bacteria s from hands leaving them smooth and refreshed. The New Dial Cleansing Hand Soap has totally changed the game plan ,with its new attractive packaging and design and rich colors, you can proudly display your favorite scents throughout your home. What is more that you want, now you can find a hand soap with your favorite fragrance at a price that you can afford. This premium soap captures the fragrant essence of freshness, with an exhilarating blend of lime, coconut and verbena. With gentle micro scrubbers, it cleans and moisturizes deeply, for hands that feel sparkling clean. The graceful water lily is the inspiration for this elegantly scented, premium soap. With delicate micro scrubbers, it cleanses hands gently yet effectively, leaving them moisturized and fragrantly fresh. To keep my hands clean I make sure I always am washing them and use a sanitizer!! Plus it's a good way to install good habits in my children. Im more into hand wipes and of course cleaning my hands occasionally. I try not to touch my nose or mouth...it's hard, but I try! Great post! I had no idea that Dial made Deep Cleansing soaps...very cool! I think this will be my new "go-to" soap in the bathroom and kitchen. Thanks for the great info! You welcome,the bottles are cute looking too. 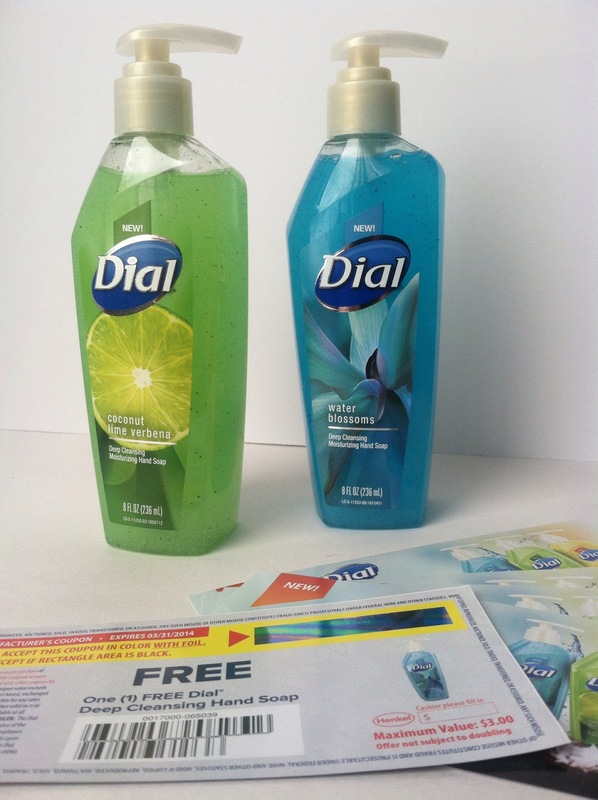 I love Dial products and love this giveaway - thanks for sharing! Now that the weather is warming we will all be outside more so these soaps will definitely be used constantly. 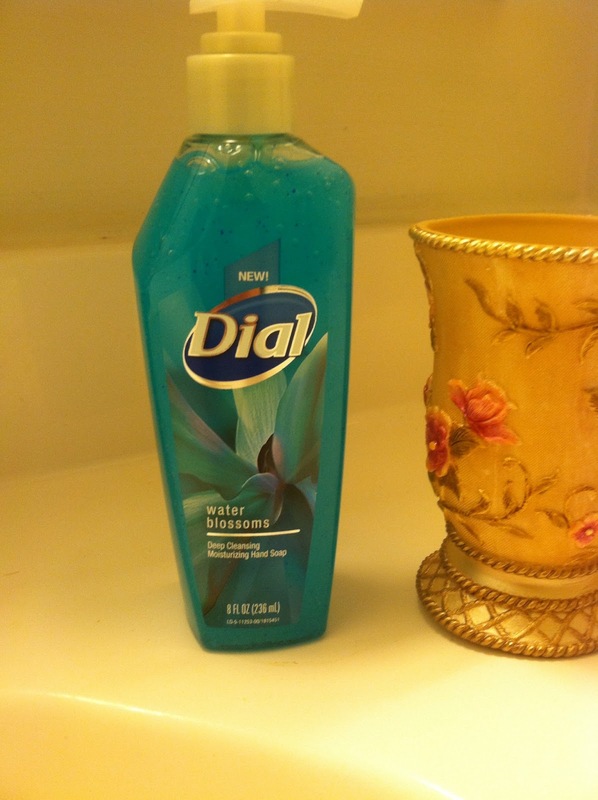 we use dial soap frequently and i have hand sanitizers around the house as well as in the car and on my purse as well.